As with any loan from a library, a bank or otherwise, unexpected things can happen. The University of Minnesota’s permanent art collection has long had an art rental program and at one point in time there were no rental fees to University employees. 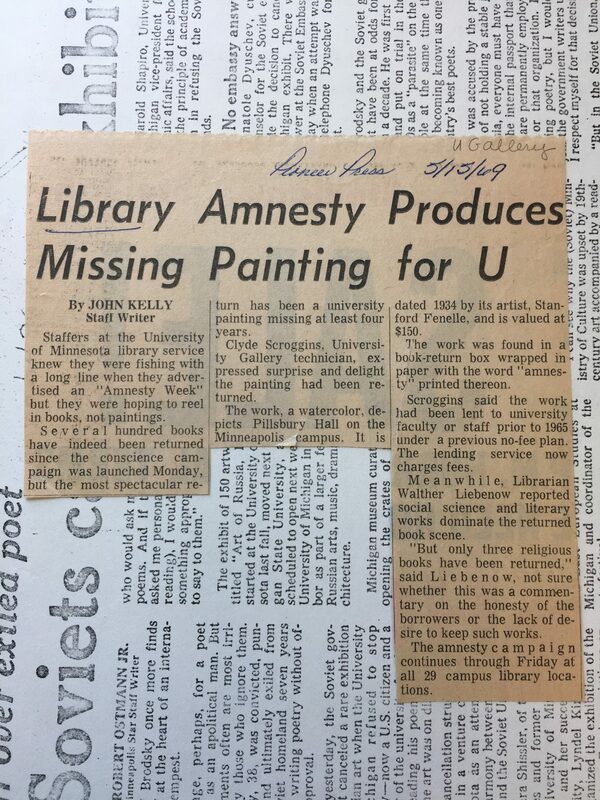 It happened one day in 1969 that a loan gone awry found its way to Wilson library and back home to the art collection. 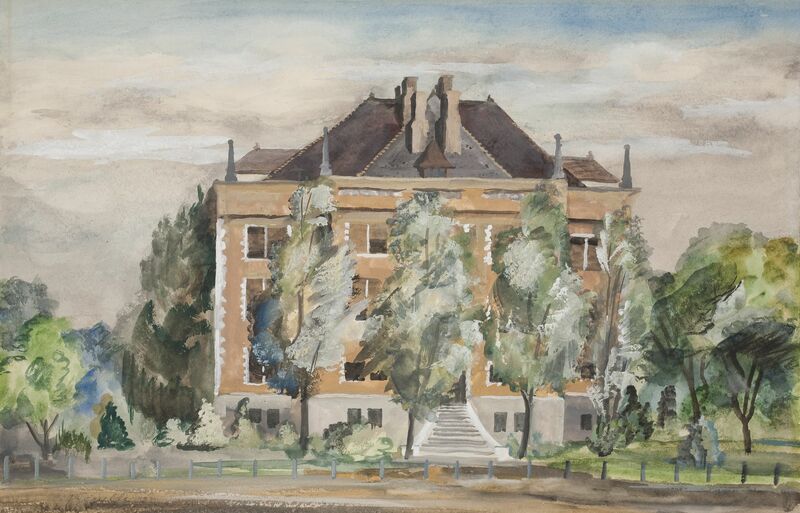 While I wasn’t able to find an image of the returned water color of Pillsbury Hall by Stanford Fenelle, I found another Fenelle work in WAM’s collection depicting Folwell Hall. Check out this highlight from the Digital Content Libraries: a Then/Now Image Overlay including artworks of locations on campus by Josephine Lutz Rollins, Cameron Booth and Stanford Fenelle. The project was facilitated by UMN’s DASH team.